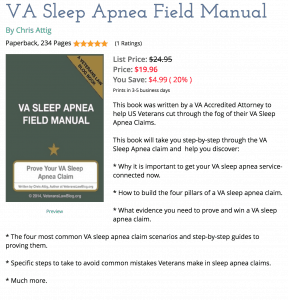 4 Things Veterans can do NOW to get ready for a BVA hearing. After waiting (at least) 3-8 years, and the VA has finally informed you that you have a BVA Hearing. Here are 4 things you can do to get ready for the hearing. #1: Before the BVA Hearing, get a copy of your C-File. The BVA judge will have your C-File in front of him/her at your BVA hearing. They will comb through it looking for the reasons to grant or deny your claim. Why on earth wouldn’t you get a copy of your C-File now – and use my C-File Summary Worksheet to organize it – and show the BVA Judge the RIGHT way to look at the evidence in your case? If I were a BVA Judge, and had a 1,000+ page C-File in front of me, and the Veteran walked me through the important evidence in his/her C-File in an organized and professional manner, I would be more inclined to believe that Veteran than the one that walked in with stacks of random paper, complaining about all the woes and ills of the VA.
#2: Prepare your “4 Pillars”. 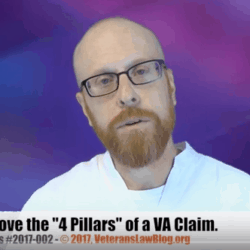 There are 4 Pillars in any VA Claim; at your BVA hearing, make sure you can point to clear and specific evidence in support of each of the 4 Pillars for each condition for which you seek service-connection. The hardest? Pillar 2 – or Service Connection. Pillar 2 has 3 elements, and the Courts don’t often agree on what it means. Before every BVA hearing, I make a chart. Each disease/condition gets its own column. Each row is one of the 4 Pillars. In the corresponding block, I write the evidence I have for each element. Tip: Comparing the evidence you put on this chart to the information you put on the C-File Summary Worksheet can sometimes tell you exactly what the “gap” is between your perspective of the case, and the VAs perspective of the case. Using worksheets like this helps me keep focused on what I have to prove, what I need to prove, and what has already been resolved. If you are nervous about your hearing, being prepared is the key to overcoming that. Don’t overlook Pillar 3 (Impairment rating) and Pillar 4 (Effective dates) – but, if you haven’t been granted service connection yet, you can relax about these 2 Pillars. The BVA rarely grants initial percentages or makes the first effective date assignment, so you will likely have time to appeal those elements later. When Pillar 3 and 4 are not the actual appealed issue in the case, I briefly touch on them in the BVA Hearing (I usually talk about them when I request a specific remedy: “Veteran should be granted an X% impairment rating, effective XYZ date”. Here is a link to the BVA Searchable Decision Database. Search for cases like yours. The search function on this page is not the best in the world (Seems like the BVA could get Google to build them a better search platform for decisions). Keep at it – I promise you that (except for a 1 in a million situation) the legal issues most Veterans bring to the BVA are not new issues. Point is, if you can’t find a decision, keep searching – they are out there. What’s the value in reading decisions from the BVA? 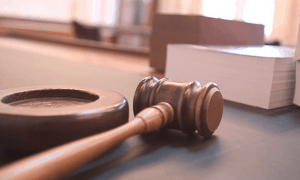 If a Veteran or a surviving spouse can get a feel for what the BVA looks for in similar disability compensation appeals, or why they frequently reject claims with particular issues, the Veteran can better prepare their case for a BVA hearing. My personal opinion is that a Veteran has to read 10-15 decisions on a particular issue to start to get a feel for what will and won’t persuade the BVA in their appeal. **Tip: The BVA uses document generators to write most opinions – in fact, I just read a CAVC Decision rebuking a BVA Judge who used outdated “boilerplate” in his decision. 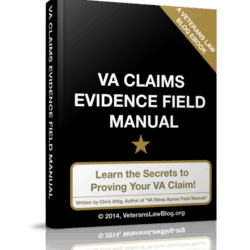 If you can “argue” your case using the “boilerplate” the BVA used to grant a benefit to another Veteran, you will probably get much better results at the BVA. Where do you find the boilerplate? Use the database I mentioned above. Or, find several Veterans to split a monthly subscription to Lexis – at current (2017) prices, 10 Veterans can pay $25 a month and get access to all BVA, CAVC, and Fed Circuit decisions, as well as the VA M21-1MR and other FAST letters and OGC Precedential opinions. 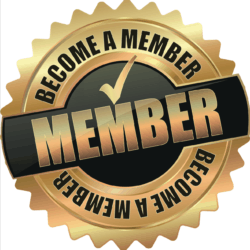 I’ve got 1 more tip for you….but if you like what you are reading and learning, sign up to get a Pre-Release Discount on my Veterans Law Guidebook – “How to Prepare for your BVA Hearing”. #4: Practice your presentation to the BVA Judge. If you want to know what a BVA Hearing Judge is looking for, read our interview with one of the VA’s busiest Judges on the Veterans Law Blog. The week before the BVA hearing, set aside 20 minutes a day to practice what you want to tell the BVA’s Hearing Officer. Stand in front of a mirror, and deliver your presentation while looking yourself in the eye. This exercise – once a day for 2 weeks before a hearing – will change the way you present your case at hearing, for the better. I do it before every presentation, every hearing, every oral argument. Be as clear – and specific as possible. Remember – these BVA Hearing Officers write hundreds/thousands of decisions a year, and so it’s hard to find all the needles in all the haystacks. The unwritten rule of a judge – in any forum – is that the easier the analysis, the easier the decision. In other words, make your analysis really clear, and really easy; by doing so, you invariably make the VA Regional Office’s analysis seem more complex and unsupportable. The more clear and clean a Veteran’s presentation to the BVA, the better the chances of a good outcome in the BVA Decision. The success rate for Veterans represented by an attorney at the BVA and CAVC is significantly higher than those that are pro-se (handling the case themselves). If you absolutely must do the hearing on your own, the above 3 steps should help get you more confident about presenting your claim to a BVA Hearing Officer. But if you want to really improve your chances of success – get a VA Accredited Attorney to help in your appeal. Don’t just talk to one. Talk to 3 or more. I’ve written a guide to help you find the attorney that is best for your claim. Oh — and after your BVA Hearing, don’t forget to get a copy of your hearing transcript. Most Vets don’t do this, and miss a valuable opportunity to identify the BVA Veterans Law Judge’s error at the hearing.